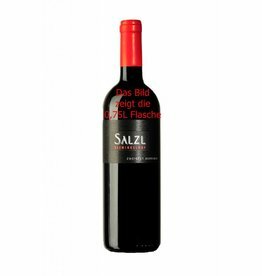 The Zweigelt Reserve is the most important and best-selling wine by Salzl. Its popularity is based on the spicy-smoky barriquetoast with absolute softness and fruitiness due to the low tannin content in the taste. There are aromas like cherries and raspberry, vanilla and a hint of cinnamon. The very good vintage 2017 is resulted in a Zweigelt Reserve with a nice flavor and the well-known round and fruity charm of this wine. An emphatically soft and harmonious red wine that can be enjoy even in youth. It spent 12 months in oak barrels. You will find aromas like raspberries and blueberries, cherry, vanilla and tabacco. Pure drinking fun from the Burgenland and an impressive example of how well the Zweigelt barrel ageing can handle.